Connecting you to the entire world of precision ag. The ParaDyme dual antenna system provides GPS accuracy using corrections via WAAS, EGNOS, OmniSTAR HP/XP, and RTK, plus, it is GLONASS-ready. It provides RTK accuracy and repeatability, and the rapid line acquisition you have come to expect, without the need for a wheel-angle sensor. Factory-activated wireless communications makes it extremely user friendly. No hassles dealing with 3rd party carriers, external cables, monthly billing or contracts from a cell service. A direct wireless link to your servicing dealer offers real-time remote service and diagnostics. When you request help through the INTEGRA or VERSA display, your dealer receives both an email and a text message alerting them to a service request. They can access ParaDyme remotely to diagnose the problem in real time while you’re still in the cab, still in the field. ParaDyme’s dual antenna featuring Logic 7D technology accurately measures vehicle pitch, roll and yaw, guaranteeing accuracy and repeatability even in uneven field conditions. The INTEGRA and VERSA displays’ built-in support and auto-calibration make setup quick and easy – even when moving the ParaDyme to another vehicle. Supports the most common and advanced guidance patterns, including SmartPath (see page 8 for guidance patterns supported). Supports WAAS/EGNOS, OmniStar XP/HP and RTK for rover. The ParaDyme also supports the GLONASS Satellites. 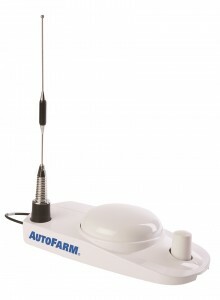 Easily transfer the ParaDyme antenna to other vehicles. No tools required. Access CORS and other RTK networks easily. Data plans for RTK network access are available directly from Ag Leader. Flex mode provides a differential correction solution to maintain steering by transitioning to a lower accuracy mode when the higher accuracy mode is lost. In addition, if the system is actively steering when the better GPS position is restored, the system will gradually shift to the higher accuracy mode. 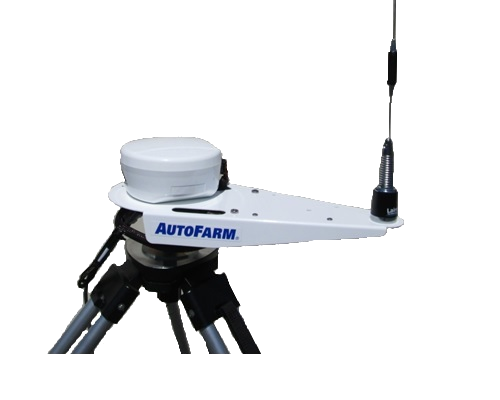 You need a superior Base Station with the most advanced GNSS technology and RTK accuracy? You want the RTK-Base3! The RTK-Base3 is a high performance base station, applying an advanced GNSS receiver and antenna with the standard package capability of receiving and tracking different combinations of GPS and GLONASS L1/L2 code and carrier signals on over 120 channels. It offers future-proof upgradability to Galileo and BeiDou (COMPASS) without hardware changes, providing scalability and freedom for your future needs. With the superior RTK-Base3 solution, you can now track more satellites in challenging environments and ensure highest accuracy and repeatability. 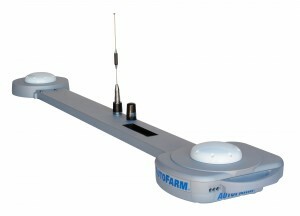 RTK-Base3 solution is structured for cost sensitive applications and is offered at an affordable price. The combination of superior performance of RTK-Base3 based on its industry-leading GNSS technology and the affordability of this solution makes RTK-Base3 the clear base station solution for your precision agriculture needs. The RTK-Base3 is the newest generation base station. Replacing the A5 family of base stations, it supports the quick survey option as well as 24 hour survey capability. RTK-Base3 is compatible with RTK Reference Networks. The RTK-Base3 comes with a user-friendly, intuitive PC tool to configure the base station receiver and radios. This tool can be used to configure the outputs and manage base station locations. RTK-Base3 is available in portable configuration for tripod mounting or for tower or other permanent structure mounting, extending operating range for high accuracy RTK applications. It offers a complete solution with a wide range of radios, antennas and accessories to best suit your requirements. RTK-Base3 is water and dust proof and is very light in weight. It is also designed for quick deployment and simple setup in the field. The portable solution of RTK-Base3 means it can be installed in the field in less than one minute. Available with 900 MHz and 410-470 MHz radio options, RTK-Base3 is designed for operation with GPS Ag’s high precision autosteering solutions including SimpleSteer, GeoSteer and ParaDyme. RTK-Base3 serves as the foundation for RTK sub-inch (centimetre-level) accuracy across different brands and types of equipment. One base station can provide corrections for multiple vehicles simultaneously. All of the most popular year-round precision tools – including guidance, auto-steering control, SeedCommand planting control, DirectCommand application control, yield monitoring and mapping – in one small package. The all-new VERSA display is built on INTEGRA’s industry-leading technology architecture – making it an ideal second display – or the economical hub of your precision farming operations. Simple setup and seamless integration with ParaDyme or OnTrac2+ steering systems makes controlling automated steering from the cab easy. Seamless integration with NORAC boom height control, reducing spray drift and product waste. 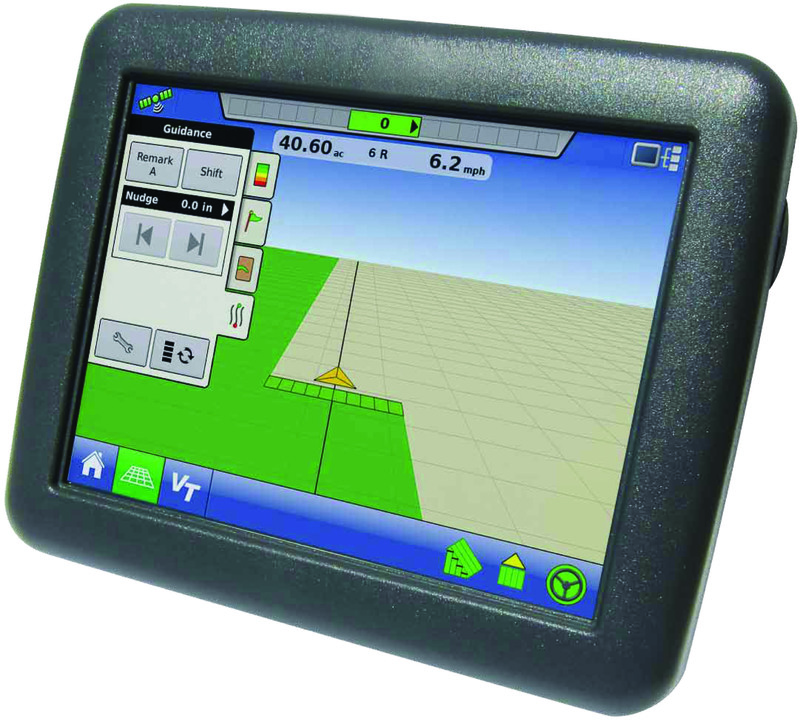 The INTEGRA display is a powerful, full-featured precision farming tool for any operation. 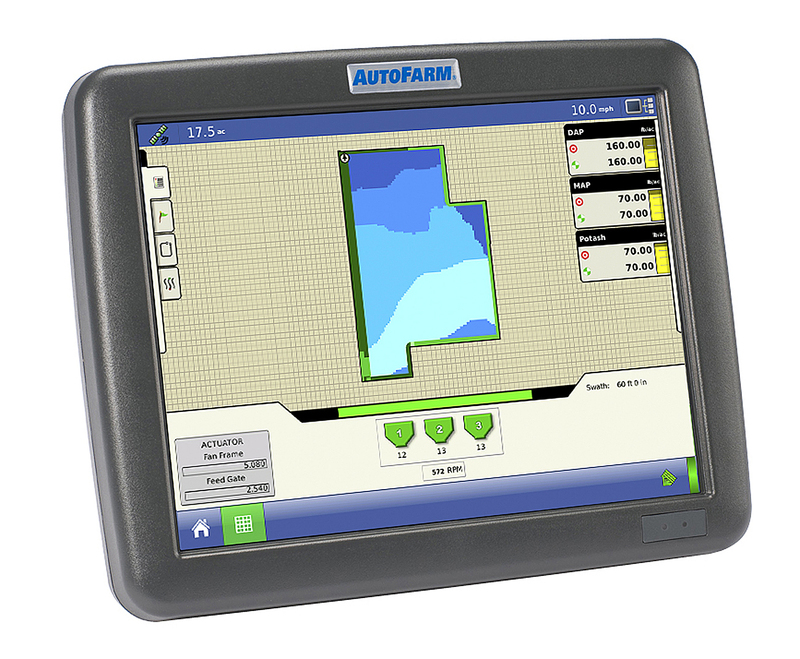 The large, full-color 30.7cm HD touchscreen is easy to read and offers year-round precision farming control. Mapping,planter and application control,yield monitoring, real-time data logging and more – can all be controlled from the cab using the INTEGRA display. The display also features four video camera inputs, providing operators a better view of equipment operation and safety by allowing them to view live video on the display. The INTEGRA display can help to reduce input costs and increase yield potential. The INTEGRA display is now designed to meet the ISO 11783 (ISOBUS) Virtual Terminal standard. This allows support of many ISOBUS compliant implements including planters, seeders, sprayers and spreaders (available February 2011). Field Maps View maps of current and previous field operations, guidance patterns and field boundaries within the field. Zoom and pan across maps to view specific areas and ensure coverage. View target rate and prescription application maps in real time for application of both single and multiple products. Load crop variety maps into the INTEGRA display regardless of the planter monitor used to record the planting information. This allows operators to view variety performance in real time during harvest. Both the EDGE and INTEGRA (February 2011) displays support OnTrac2, offering an economical way to add assisted steering without hooking into hydraulics. Reduce operator fatigue and improve pass-topass accuracy. CALL WT Hydraulics about these products.